This story is so breathtakingly stupid, I had to confirm it a couple times to be sure it was not a hoax. A Detroit groundskeeper, John Chevilott, found a loaded handgun in the weeds while working and waited for the police to drive by to turn it in. When they didn’t show up, Chevilott took the gun home and handed it into his local police station where he was commended for his actions. He did this with the full knowledge and approval of his supervisor. According to news reports, that was then fired by the Department of Public Services for possession of a gun. Chevilott is just two years shy of retirement after 23 years on the job. His supervisor was suspended for 30 days. Chevilott’s superiors at the Department of Public Services found that he had violated department policies by possessing a weapon on work property. At first I thought the Department must have had evidence that Chevilott was lying and that the gun was his. However, the stories all report that he found the gun in the weeds. It is not uncommon for criminals to toss a weapon when they are being pursued by police. The gun turned out to have been stolen when the police traced it. Assuming that the Department does not believe this was his gun, there should be a firing . . . of every supervisor and official who approved this action. 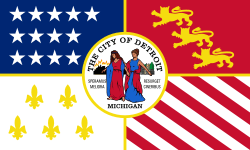 What is astonishing is that I have been to Detroit and see public workers who appeared catatonic and unresponsive to verbal or physical stimuli. Yet, they have secure jobs. We have discussed how it seems that every Detroit city council member is either under investigation or facing criminal charges. They also have secure jobs until their convictions. This guy turns in a weapon before it could hurt someone and he is fired just short of retirement. Can anyone find any more information that makes this appear less moronic? Hello, Neat post. There’s a problem together with your web site in web explorer, may test this… IE still is the marketplace leader and a huge component to other folks will omit your magnificent writing due to this problem. please sign the petition on change.org for this gentleman who was wrongfully terminated. Canadian police commanders sound crooked. First, a thank you to Mr. Smith. We should all be so fortunate to have an officer such as yourself on the scene should the need ever arise. It seems these days that there are far too many people itching to excersize (abuse) the power of their authority over others, justified or no. Thank you for being reasonable and rational and serving the community instead of subjugating it, as others are seemingly want to do. It would seem that common sense is not so common anymore. Any thinking person would have been able to see that the man went out of his way to do the right thing. Then he got screwed. Mr. Smith is absolutely correct, asserting that the city found a flimsy excuse to fire him and deny him his pension. Save a few bucks for the city at the expense of an honest, conscientious, hard-working man. But the union issue is a double-edged sword, I think. There was a time when the unions were truly the representative of the collective workers. But as time passed they began to use the leverage they had in the employees to negotiate more and more into union contracts. Pension liabilities for government workers (teachers, public works, etc…) are crippling city budgets. Pensions are a nice idea; who WOULDN’T want to keep getting paid for a job you don’t do anymore, right? State and city governments and industries of all kinds are now wrestling with the issue of where all the money is going to come from to honor those contractual agreements. It’s as if nobody ever did the math for future projections to asess costs and where they had to draw the line for benefits to keep them sustainable. Honestly, whether right or wrong, ethical or no, I can’t say it surprises me to hear these types of stories; a honest man getting shafted by the city (or by a company…) so they can keep those pension dollars for their own bottom line. Of course, that’s not the official story, but it doesn’t take a rocket scientist to figure it out…. There are places where, if you want to work, you HAVE to join the union. And pay dues, etc. Unions frequently make generous donations to political candidates (liberals, primarily) using dues proceeds. Even if you don’t support who they like, they’re going to use your money in whatever way they see fit. Unions have become their own worst enemy, IMO. Power and greed (unions see billions of dollars go through their organizations) can seduce and corrupt even the best of men if they let it. And while I think that the original pupose and intent of the unions was altruistic and genuine, the men at the helm went the way of corruption, using their group power as a bludgeon to achieve their ends. First, he should get another gun. Then make a list. Then…. OS / Gene H. thank you for the comment. The way these cities work is essentially this. The powers to be arbitrarily decide to give an employee the shaft. Usually this is for two reasons, the employee in their minds represents a threat to them, even if imagined and the other is there is some kind of political advantage in shafting the person. Once that has happened, the employee is under the gun from day one until day 1,200+. The next step will be to concoct a big pack of lies or half truths about the employee. Any mistake or small transgretion the employee makes will be magnified two orders of magnitude. This will be completely contrary to any sense of fairness since many in power wil have similar and more likely more misdemeanors they had commited. The city will then paint the employee as a renegade who has been nothing short of a villain in an attempt to put the employee or his counsel into a position of having to defend these new accusations to save credibility and deflect from the real issue; that is the city is railroading the employee. The city will use the rumor mill and might even, if the employee has a public voice on the issue, contact the press through a proxy to seed the community with libel to attempt to humiliate the employee and disuade him from continuing. Third comes the attempt to drain the pocketbook of the employee. The city will not care if they have to blow $500,000 dollars or more out of the tax payer’s revenues to attack the employee. The effect this will have would be to send the battle to the employee’s own home with his wife and children. While the employee is greatly distressed in the matter, the wonks who railroaded him get to sit in their cushy chairs and hobnobbing with other snobs about other issues. Why? Because our system allows many people in power to get away with nearly everything short of murder while subordinate ranks or regular or downtrodden people get reamed. Penultimately, and I don’t say lastly because there seldom is a true conclusion ever offered by the wonks, the employee either has two outcomes. Either he loses due to all the craft and lies the city and is worse off than ever or he wins the case. Or, in winning he risked losing his house due to finance issues, he had to pay all these legal fees, suffered all the stress but received a judgement/settlement. The wonks, Well they got to watch this entire drama of their own creation from the safety of their sanctuary. Never once were they held accountable for these arbitrary persecutions, and the employee had to suffer months, years of this humiliation, only to be restored to where he was one day before this all happened. Many of our ancestors emigrated from England, Germany, or wherever to come to the US because they had enough of arbitrary decrees or laws from sovereigns who are not subject to justice. They escaped the Rule of Men and embraced the Rule of Law here. I doubt our founding fathers envisioned such an outcome in drafting or federal constitution. BK, I found some dead links, but newspaper web pages usually are pretty sucky as a general rule. Local TV stations often have more and better local news stories than the dead tree press. There are exceptions, but I suspect most of the reason is that newspapers are on life support and keeping a top notch web page going is not cheap. I know this because my oldest daughter’s former boyfriend was the sports editor of a paper. He left the paper because he said he could see the handwriting on the wall. I think he works for NASCAR now, doing publicity. At least NASCAR has money to pay the help reasonably well. John only shares some information publicly. If you know John, send him a friend request or message him. Yes, OS, that’s the same link cited in the Professor’s article. It’s still the original Fox report. I’ve been looking through archives of the Detroit Free Press and Detroit News. No mention of this. Great work on getting the link. I would hope the union would file a grievance on this crazy firing. It may not be on current news pages because it happened on May 3. I found a couple of links, but they said, “The page you are looking for is no longer available.” This is the latest link I could find and there is a picture of the gentleman. His union has filed a grievance.